Take a look and see our newest additions. 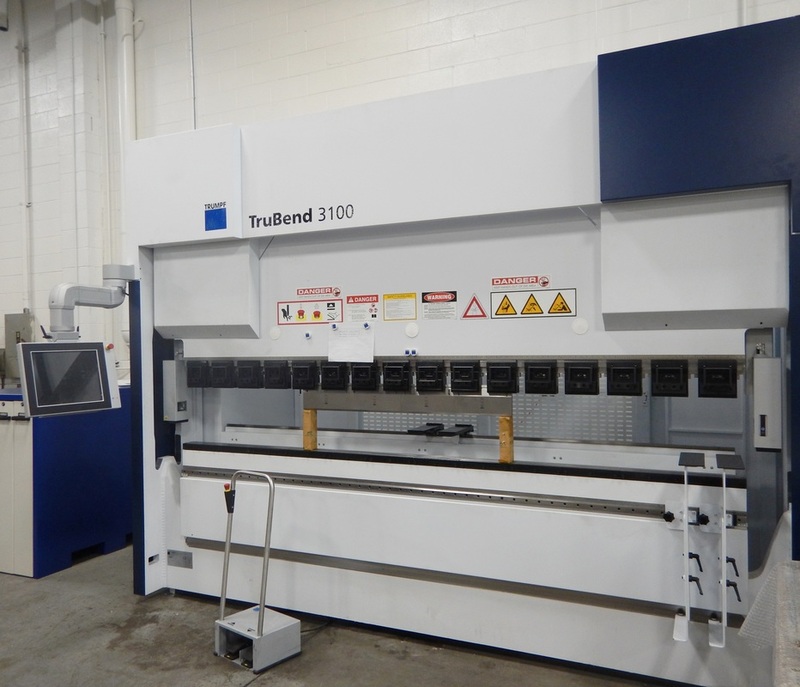 Both manufactured by Trumpf, the first is a TruLaser model 1030 Fiber flat sheet laser cutting machine and the second is a TruBend Model 3100 10’ Hydraulic Press Brake. Separately, they represent the latest in technology and together they combine for a powerful fabrication package. The flat laser has a 120” X-axis travel and a 60” Y-axis travel with a maximum speed of 2.360 in./min. We have the ability to cut mild steel up to .75 in, thick and stainless and aluminum up to .6 in. thick. Positioning accuracy is within .001 inches and repeatability with n .0012 inches. This allows us cut blanks like never before. The press brake is fully programmable and the Trumpf software allows us to unfold a part into a blank development, send the blank to the laser, and tell the brake which tooling to use in what order to produce a finished part. This system will save us hours of time and allow us to produce a variety of short run production parts.